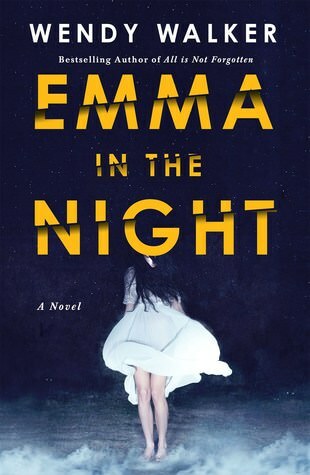 Emma in the Night ‘s ending has the rare perfect balance between being surprising, yet still fitting with the story and it’s the first 5 star thriller I’ve read since Gone Girl. Three years after teenage sisters Emma and Cass disappeared from their home, Cass returns home without Emma and forensic psychiatrist Dr. Abby Winters returns to help Cass find Emma. This was a lucky read. I’d read Walker’s debut thriller (All is Not Forgotten), but wasn’t a huge fan. St. Martin’s Press sent me an e-galley of Emma in the Night (thank you!) and I almost wasn’t motivated to pick it up. Then, Michelle at That’s What She Read said she read it in a day while floating in a pool…so, I decided to give it a try. I could not put this book down! And, I liked it so much better than All is Not Forgotten! If I had the kind of life where I could devote a whole day to reading, I could’ve read this book in one day. It’s the first 5 star thriller I’ve read since Gone Girl. If you’re looking for an immersive, edge-of-your-seat page turner for your last vacation of the summer, Emma in the Night is your book! 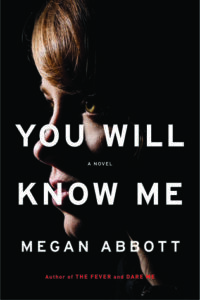 It’s a bit of a cross between a psychological thriller and a dysfunctional family novel. Both paths are extremely well-developed. I was fascinated by the focus on Narcissistic Personality Disorder and the psychology of how this affects a family. I love how Walker went deep with the psychology angle throughout the whole book and explored how this disorder can be passed down through generations. This novel is full of ambiguity. I spent most of my time reading wondering who was telling the truth, who was the real manipulator, and how and why everything played out like it did. I literally changed my mind on these questions dozens of times throughout the story. Finally…a thriller with an ending that is surprising, yet absolutely makes sense with the story!! This is the number one characteristic I look for in thrillers and the number one thing that often goes wrong (hence why I’ve been turned off by thrillers lately). Kudos, Wendy Walker, for getting this exactly right! And so they were fierce competitors in their secret club, for each other’s love, for the love of everyone around them. And all I could do was watch from a distance, one short enough that I could see the escalation. Two nation-states in a constant battle for power and control. It was unsustainable. And so it continued, this war between my mother and my sister, until the night we were gone. 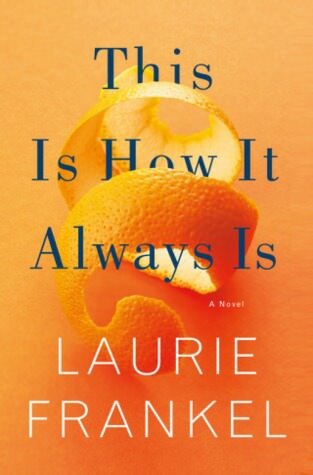 This Is How It Always Is is an accessible story about a weighty topic that had me feeling a whole range of emotions…it’s the kind of book many people will enjoy, yet will also provide excellent discussion for book clubs. One of the most important things a book needs to do to really draw me in is to make me feel…something. It doesn’t have to be positive all the time, but I have to become emotionally involved with the story and characters in some way. This Is How It Always Is had me feeling a full range of emotions. It’s heart-warming, but also heart-breaking. It’s unexpectedly funny, sad, inspirational, and made me angry at times. While this story obviously centers around Claude and his struggle with gender dysphoria, it’s also very much a story about an unconventional and complicated family. Frankel explores the family dynamics, the impacts of Claude’s struggle on each sibling and both parents, and the more run-of-the-mill struggles of a family (work/life balance, teen angst, sibling disagreements, etc) and how Claude fits into that. While gender dysphoria is a weighty issue and many people have not personally experienced, the Walsh-Adams family as a whole is incredibly relatable. Rosie (the mother) is someone I could imagine being friends with and the family’s reactions to and decision-making involving Claude felt decidedly normal to me. In addition to handling the “big” issues and decisions relating to Claude’s gender dysphoria, Frankel poignantly works through the small moments that become minefields when you’re dealing with someone like Claude (i.e. meeting your new neighbors, the first sleepover). The writing isn’t what I’d call “gorgeous,” but I loved the voice and tone. I felt like I was hearing my relatable friend talk about family life while phrasing things in the most amusing way possible. But Roo followed by Ben followed by Rigel and Orion had put a stop to that plan too, children being the enemies of plans and also the enemies of anything new besides themselves. Plus, there’s a bad@ss grandmother, a character type that generally adds a little something extra to a story for me! I’m generally not a fan of stories within stories and one (a fairy tale, in this case) figures prominently into This Is How It Always Is. It makes sense within the larger context and Frankel executed it well, but I personally found it distracting and unnecessary. It felt a little too cutes-y to me. I’m getting really nit-picky, but some of the things Claude was doing at age five (i.e. designing and constructing a complicated Halloween costume by himself) seemed like a developmental stretch to me, even though his character is quite precocious. I have a six year old son and he could no more design and construct his own Halloween costume than fly to the moon; however, he could name 25 obscure animals you’ve never heard of. So, maybe this criticism isn’t entirely fair. You never know. You only guess. This is how it always is. You have to make these huge decisions on behalf of your kid, this tiny human whose fate and future is entirely in your hands, who trusts you to know what’s good and right and then to be able to make that happen. You never have enough information. You don’t get to see the future. And if you screw up, if with your incomplete, contradictory information you make the wrong call, well, nothing less than your child’s entire future and happiness is at stake. It’s impossible. It’s heartbreaking. It’s maddening. But there’s no alternative. Though Swimming Lessons didn’t immediately grab me, its steady revelations about the Coleman marriage and increasing complexity eventually pulled me in. Swimming Lessons tells the story of the volatile marriage between famous author Gil Coleman and Ingrid…through letters Ingrid hid in Gil’s books prior to her disappearance and their daughters’ returns home to care for their ailing father. Claire Fuller’s debut novel, Our Endless Numbered Days , was one of my Best Debuts of 2015. 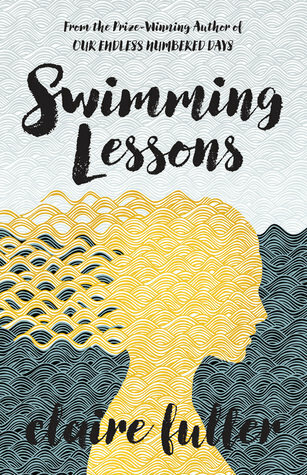 The publisher’s blurb makes Swimming Lessons sound like it will be a mystery, but it’s actually an exploration of a troubled marriage. 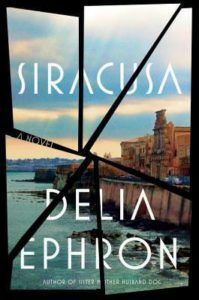 The “mystery” part of the story is somewhat ancillary and, once I wrapped my head around that, I enjoyed the book much more. Swimming Lessons tackles a topic that is taboo even today and was even more frowned upon in the 70’s when Gil and Ingrid’s story began: not wanting and/or loving motherhood with every cell of your being and the conflicting feelings that come along with that. I truly sunk into the second half of this book. As more layers of the Coleman’s marriage were peeled back, the story’s complexity grew, intriguing me more and more. While not particularly surprising, the ending made sense and fit with the characters in the story, a type of ending that is becoming more and more appealing to me. And, it struck a perfect balance between tidying things up and leaving some questions unresolved / open to interpretation. The potential discussion topics of marriage and motherhood and various interpretations of the ending make Swimming Lessons a compelling choice for book clubs. Swimming Lessons did not immediately grab me. 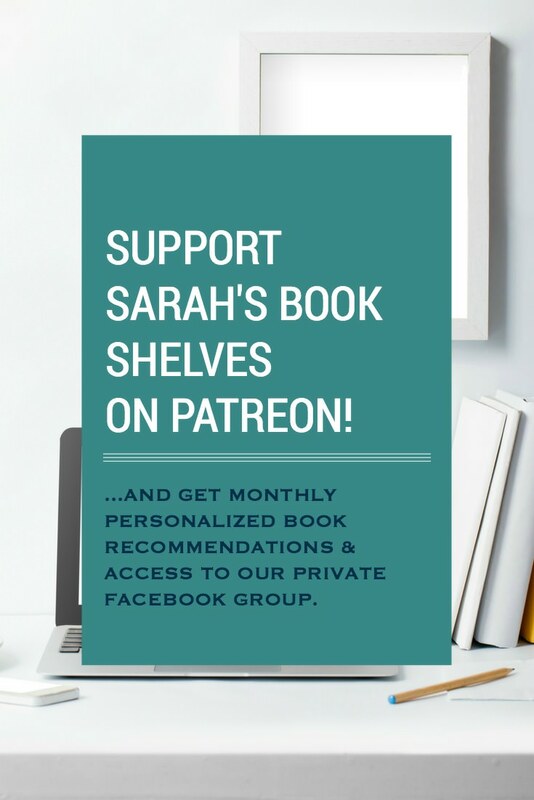 It’s a book that slowly peels back the layers of a marriage and it took lots of those layers being revealed for me to really get invested in the story. Some of the revelations (yes, they are more revelations than twists) were not surprising, but their inevitability fit with the story. One element of this story has been told before and I kind of rolled my eyes that this particular trope was popping up yet again. I didn’t love Swimming Lessons quite as much as Our Endless Numbered Days…the writing sparkled a tad less and the plot was a touch more predictable. I tried to tell you that I didn’t want it, wasn’t ready, might never be ready, but you put your finger on my lips and said, “Marry me’, and all those plans of creating my own category and giving you up after the summer disappeared like a wisp of sea mist under the relentless energy of your sun. 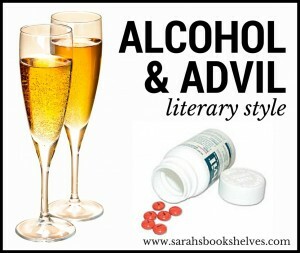 Welcome back to Alcohol & Advil, where I pair a book likely to cause a “reading hangover” (i.e. the alcohol) with a recovery book (i.e. the Advil)! 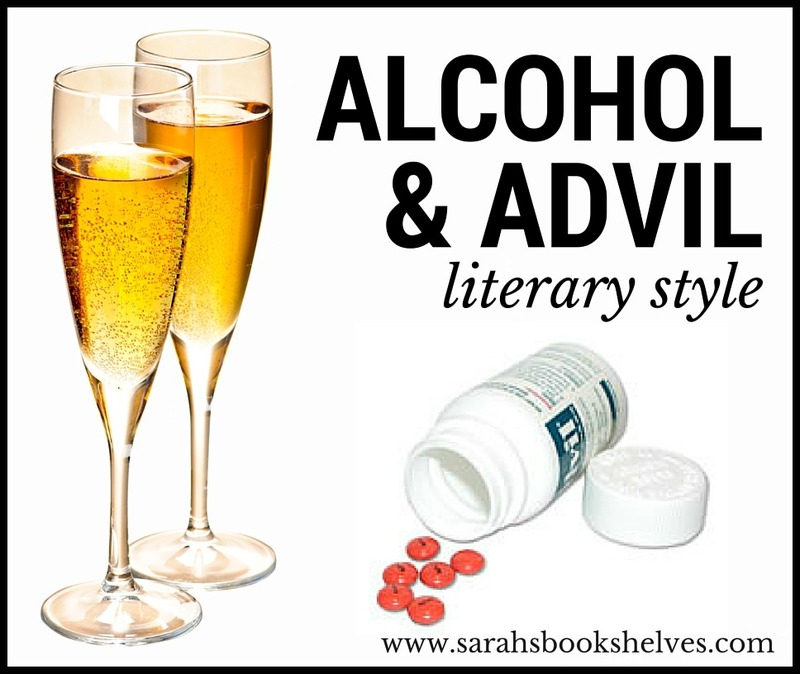 For me, the “alcohol” is usually a book that I either absolutely loved or one that punched me in the gut in an emotionally depleting way…and, in this case, it’s the former. 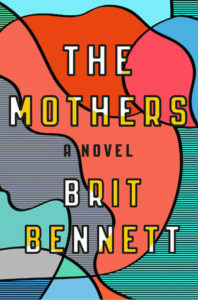 My Thoughts: The Mothers was one of the most hyped books and the big debut novel of this Fall (author Brit Bennet is only 25 years old and was named to the National Book Foundation’s 5 Under 35). And, it completely lived up to the hype! The first page is one of the best first pages I’ve ever read and I highlighted three passages before moving on to Page 2. I could immediately tell that Bennett’s writing was my kind of writing (which I will try to clearly articulate in an upcoming post) and the tone and style reminded me a bit of Ann Patchett’s in Commonwealth. What I loved most about the actual story is that it takes on a number of serious topics, but none of them dominate the book. It’s about a young girl trying to make sense of her mother’s death and being left with a father who has withdrawn into his own grief. It’s about a teenager’s relationship to her church…and the feelings that come along with doing things the church likely wouldn’t approve of. It’s about the ongoing repercussions of those actions. It’s about friendship. It’s about race (the story takes place in a black community in California). It’s about the aftermath of trauma. Bennett handles all this in a subtle way…it’s there, a part of Nadia’s life, impacting her feelings and decisions, but life goes on. For me, this rang true to how life really happens. The Mothers will no doubt make my Best Books of 2016 List and would also make a fantastic book club selection. 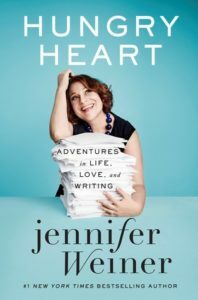 My Thoughts: You probably know Jennifer Weiner from her bestselling novels Good in Bed and In Her Shoes or her hilarious and pointed live-tweeting of the Bachelor/ette shows. But, her memoir reminded me that there is far more to this lady than enlivening my Twitter feed on Monday nights. Hungry Heart is an incredibly relatable memoir about a girl gradually growing comfortable in her own skin. After reading about her childhood (which includes a horrific father and adjusting to her mother starting to date women at age 54), I came to respect her determination, work ethic, and ability to recover from her father’s abandonment. She worked her tail off to become the writer she is and was never swept up in the glamour of the “writer’s life.” This memoir also confirmed my belief that she is an author who should host a podcast and I can see her dispensing Dear Sugar-style advice to women as successfully as Cheryl Strayed. 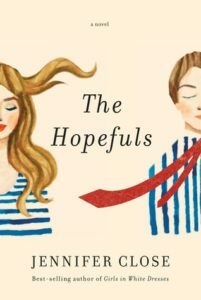 Though the book was overly long and a bit repetitive towards the end, it was the perfect mix of light-hearted humor and real-life struggle to help me adequately recover from The Mothers! 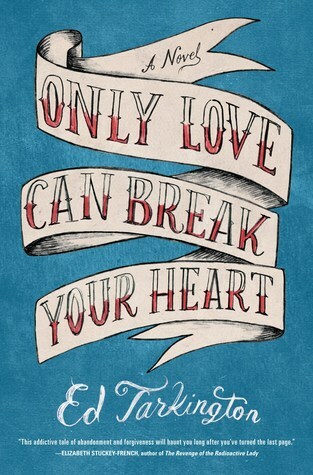 Only Love Can Break Your Heart by Ed Tarkington: The Southern Coming of Age Novel of 2016? The awkward and innocent, yet calculating voice of Rocky made this Southern coming of age story sparkle…and reminded me a bit of My Sunshine Away, one of my favorite books of 2015. When Richard (aka “Rocky”) was eight years old, his rebellious older half-brother, Paul, disappears without explanation, setting off a chain of events that impact their family and community in rural Spencerville, Virginia. 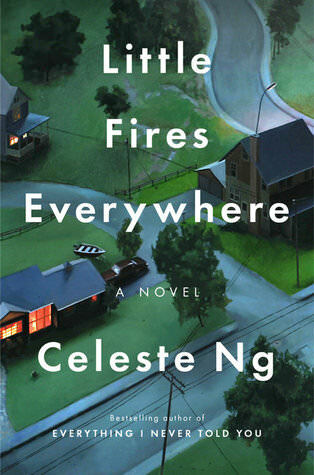 Rory at Fourth Street Review (my go-to source for Grit Lit recommendations) brought this novel to my attention via her Debut Novels to Look For: Early 2016 list. I haven’t seen many reviews from the bloggers I follow (yet), but I would LOVE for this one to get some more attention! 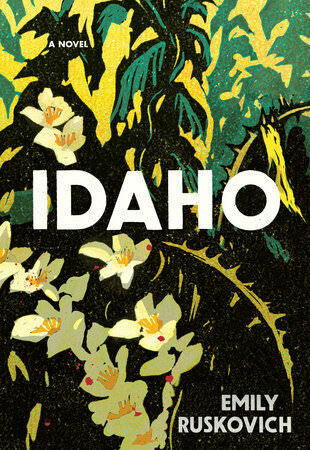 While I wouldn’t call this debut novel “Grit Lit”, it is a top-notch Southern coming of age story that reminded me a bit of My Sunshine Away, one of my favorite books of last year. Like My Sunshine Away, there is “action” and suspense in this story, but it really serves as a vehicle for Rocky’s coming of age, not the other way around. I loved the focus on the imperfect bond between brothers and the healthy dose of the type of teenage boy hijinks that went on before the world became more uptight. All I knew was that Paul was effortlessly cool – that even the people who scowled at him plainly desired and envied both his beauty and his indifference. Naturally I worshipped him. 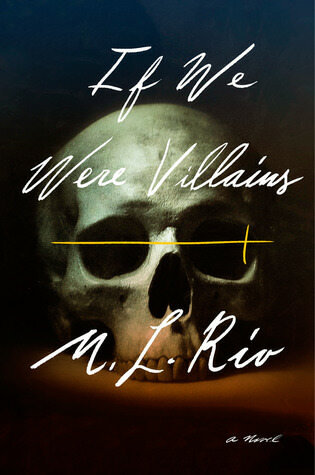 But, what really made this book sparkle for me was Rocky, the narrator’s, voice. It’s just the right mix of awkward teenage boy (i.e. Rocky tries to flirt with a girl by making her a mix tape! ), innocence, angst, and calculation. We must all recall the incomprehensible spite of the schoolyard bully: the random selectivity of his malice, the helpless acquiescence of his prey. Perhaps the worst of all, the pathetic betrayal of the victim’s so-called friends, who stand aside or perhaps even laugh and jeer, loyalty being a far less powerful instinct than self-preservation. I would have liked to lop off the last 10 pages or so of this book. The story ended beautifully for me – a perfect balance of wrapping things up and letting some questions remain unanswered. Then, there came another ten pages of neat and tidy updates on where all the characters ended up…which read much like an Epilogue (but it wasn’t) or a high school yearbook’s Senior Predictions section. If you think you might want to read this book, I would avoid reading the publisher’s blurb (or at least the second paragraph). It includes way too much information for my taste! At some point, every boy feels the urge to lash out at something, to be cruel and violent, to curse the world for its frail humanity. But only a few have the will – be it born of courage or recklessness, folly or sublime wisdom – to act and, by their action, transform themselves. They will pay for their courage, of course; the world does not treat its others lightly. But so will the rest of us – the ones who love them – haunted as we are by our envy of their bright, burning beauty, which we can bear neither to look at nor to turn away from. The first section (Fates) was a 2 or 3 star slog, but the second section (Furies) is unquestionably a 5 star read. Overall, pushing through the beginning was worth it for me and I’m adding it to my Book Club Recommendation List. The story of the marriage of Lotto, a gregarious aspiring actor from a wealthy background, and Mathilde, a mysterious model he met in college, told first from Lotto’s perspective, then from Mathilde’s. The Riverhead rep at BEA’s Book Group Speed Dating event sold the living daylights out of this novel. It was the book I was most excited about coming out of BEA. I love the overall theme of differing perspectives, particularly as it relates to a marriage. Groff deftly shows how one person’s background can shape his/her perspective on events…sometimes ending up with a vastly different interpretation than others. 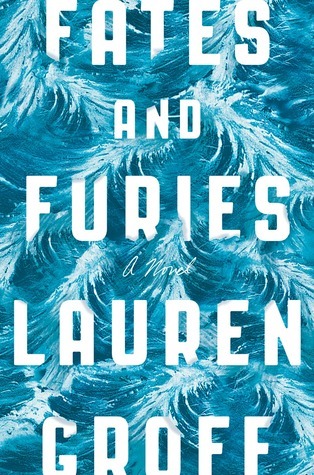 Lotto’s version of his life with Mathilde (Fates) seems fairly normal and even uneventful, but things completely turn on their heads once you switch to Mathilde’s perspective (Furies). So many times, I was left astounded at what had really gone on. Though it took me awhile to get there, I had a very hard time putting the book down by the end. This is a book that has me thinking and pondering and I feel like it will stick with me for a long time. The writing started out a bit terse and I initially had trouble getting into the flow. But, as the story moves along, the writing ends up being absolutely glorious. I was highlighting like crazy by the end. They handed over spider plants in terra-cotta, six-packs, books, bottles of wine. Yuppies in embryo, miming their parents’ manners. In twenty years, they’d have country houses and children with pretentious literary names and tennis lessons and ugly cars and liaisons with hot young interns. Hurricanes of entitlement, all swirl and noise and destruction, nothing at their centers. This book started very slowly for me. The first half (maybe even 60%) really meandered and I wondered when it would get to a point. Honestly, I considered putting it down multiple times in the first half and probably would have had I not been so excited about it going in. I’d probably give the Fates section 2 or 3 stars at most. This might be one of the only books where I’ve been glad I knew a bit about the story before reading it (usually, I like to know as little as possible). The only thing keeping me going was knowing that the story turned on its head once you got to Mathilde’s perspective. While I realize that setting up Lotto’s perspective of their life was critical to Mathilde’s perspective having impact, I wish the overall book had been more heavily weighted toward Mathilde. She was the more layered, fascinating character that drew me in, yet more of the book’s real estate was devoted to Lotto. For well over half of the book, I felt incredibly distant from the characters. Events that should have gotten a reaction out of me felt ho-hum. Was this book a victim of my overly high expectations or did I repeatedly give it a pass in the first half because of those expectations? So, did my expectations save it or kill it? How good does an ending have to be to outweigh a long and slow journey? Clearly, this was one of the books that inspired my recent post on journeys vs. endings. Does the phenomenal 5 star Furies section bring the entire book up to 5 stars, even though the Fates second would only get 2 or 3 stars from me? I pondered this right up until the last minute before posting this review and finally landed on no, but it did kick it up to 4 stars and a “read it” recommendation. Up before Lotto rose a vision of himself as if attached to a hundred shining strings by his fingers, eyelids, toes, the muscles of his mouth. All the strings led to Mathilde’s pointer finger, and she moved it with the subtlest of twitches and made him dance.